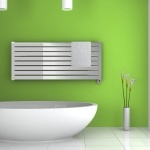 When it comes to buying the best towel warmers on the market today, a lot of people go immediately to the wall-mounted or freestanding “ladder” style products. However, these aren’t the only kind available. And may not even be the best. No, if you’re serious about getting the most bang for your buck, you’ll want to look at the kinds of towel warmer cabinets for spas & salons. The ones that some of the best resorts around the world have been using for years and years now. And today, I will show you why they’re always on the must-buy list of many people. Check the reviews below for more information. One of the most innovative among these best cabinets. The Elite Hot Towel Cabinet HC – X can surely bring you tons of useful utilities. 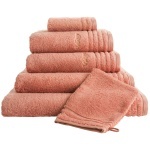 Specifically designed to accommodate up to 24 small towels or 12 “traditional” towels. This is an intelligent unit that guarantees you get a perfectly warmed towel every single time. With absolutely no potential to burn or overheat the towels that you’re going to enjoy. This is all thanks to an internal and proprietary heating solution that does not rely on heating bulbs. Just like many of the competing products out there. Because of the inclusion of this proprietary heating solution, you’re never going to have to worry about bulbs cheating inconsistently, burning out, or failing ever again. Instead, you’ll only have to worry about remembering to turn the power switch on about 20 minutes before you want to enjoy perfectly hot towels. Yes, there are some out there that find the overall design and size of this hot towel warmer to be unappealing in some respects. But at the end of the day, it can tuck perfectly away into an under sink cabinet or storage area. And most importantly, it can provide you the results you’re looking for. A smaller hot towel cabinet for sure. 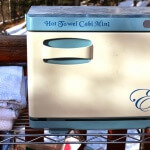 The Elite Hot Towel Cabinet Mini is going to be able to accommodate 12 small towels (washcloth sized). Or about six traditionally sized towels. That makes it a little bit more appealing if you only have a limited amount of space in your bathroom. There is an internal thermostat control that allows this unit to heat up to about 124°F (give or take a couple of degrees). That way, you can pre-program this cabinet to perfectly heat or dry the towels that you want to use. And then rely on it to provide consistent results from then on out. Just like the larger model, this device uses a proprietary internal heating control system so that you don’t have to worry about the issues that heating bulbs bring to the table. Instead, you’ll be able to load up your towels, close the door on the, and power the unit on at any point in time for completely safe and even heating results. The aesthetic isn’t exactly modern design friendly. But it isn’t a deal breaker by any stretch of the imagination in my opinion. About the size of a mini fridge. This compact model is ideal to quickly and effortlessly heat up 24 washcloths or about 12 traditionally sized towels (and between six and eight “extra fluffy” towels) without any headache or hassle whatsoever. Definitely one of the best products for spa and salon on the market right now. This is a cabinet that you aren’t going to have any difficulty leaving out in full view of all your guests and worrying about what they’ll think. The clean white and silver aesthetic fits with most any bathroom design today. And the finish across the board helps it to blend into higher end bathroom designs without any distractions. Capable of maintaining an internal temperature of 160°F with ZERO trouble whatsoever. This unit takes advantage of innovative and even heating technology that replaces the old and outdated bulb system. This results in a much more even and consistent results, producing some of the most enjoyable hot towels you’ll find anywhere. A bit on the more expensive side of things (but not outrageously so). But this one is definitely worth the price it commands. The best “double-decker” on the market right now. 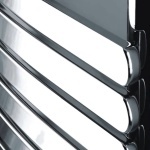 And also my favorite on this list of the best towel warmer cabinets. 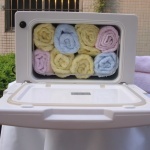 This is a game changer model for you if you have partner that wants towels a little bit warmer (or cooler) than you do. It gives you (as well as all of your guests) the opportunity to enjoy a perfectly warmed towel to your – and their – exact specifications. This is all possible thanks to the intelligent dual compartment design of this system. 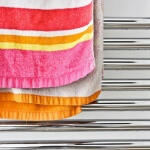 It doesn’t force you to put all of your towels into the unit and heat them up evenly at the exact same temperature. 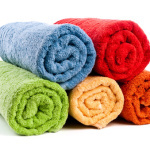 Instead, you’ll have the chance to place 24 washcloth sized towels or 12 traditional sized towels into each “chamber”. And then set its temperature to a range that you are comfortable with. This means that you and your guests will never again have to worry about a towel that comes out too warm or not warm enough. That way, everyone will have the opportunity to set their temperature range to something that they are most comfortable with. There aren’t all that many other competing options out there that offers this kind of versatility. Of course, the extra versatility that this cabinet brings to the table is going to command a higher price tag. But most people agree that the convenience, versatility, and flexibility offered is well worth the few extra dollars that the product asks for. Another compact product that can fit your needs. This Heatwave Industries solution is ideal if you want to leave your warming device right out on a countertop without eating up too much space. As you can see, this one can fit almost any bathroom design (and perfect for those with “dressing rooms” or walk in closets). It’s also slimline, attractive, and capable of effortlessly heating up multiple towels, blankets, or bathrobes in 15 minutes or less. It plugs into any traditional power outlets in your home. And it doesn’t require any extra set up at all. All thanks to the intelligent internal design. It is as safe as can be. Not only will it heat up to its maximum temperature all on its own (heating and warming towels, bathrobes, and bedding evenly along the way), but it will automatically power down after a specific amount of time. That way, you don’t have to worry about any accidents. Somewhat more expensive than some of the other options available. But you’d be hard-pressed to find anyone that owns this towel warmer that wouldn’t recommend you run out and get your hands on it as quickly as you can. It’s just that much better than the rest of the competition! 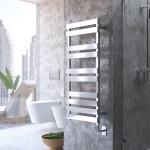 What exactly is a specialized towel warmer for spa and salon? 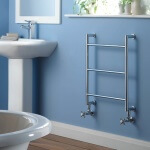 Well, it’s often much smaller and more compact than ladder style towel warmers. 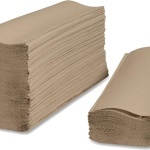 These products still allow you to dry or warm a lot more towels in a single run can you ever would have been able to with those traditional “letter style” options. Not only that, but they are also going to be able to completely dry or warm your towels in a fraction of the time it would have taken ladder style products. And all thanks to the radiant and direct heating combination technology that most of them take advantage of. Seriously, if you’re looking for a high-end luxury towel heater, you’d have to be at least a little bit crazy not to seriously consider getting one of these spa-only products. We’ve all climbed out of a long and relaxing shower at full blast and directly into an ice cold bathroom before. And then had to wrap ourselves in a towel that became damp and chilly because of all the extra moisture in the air. There are few things as uncomfortable as this in our day to day lives, that’s for sure. Thankfully though, when you decide to go with one of the towel warmer cabinets out there, all of that becomes a thing of the past. These amazing little cabinets are going to dramatically cut down on the amount of moisture in the air (since they are self-contained units that dry and warm towels), but they are also going to guarantee that you never have to swaddle yourself in a chilly towel ever again. Never again are you going to have to worry about stepping from the perfectly comfortable warmth of a nice toasty shower into frigid air of a chilly bathroom, only to then wrap yourself in a damp or chilly towel. Instead, you’ll be wrapping yourself in a perfectly dry and toasty towel, one that’s going to warm you as you dry. On top of that, you’re going to be adding a tremendous amount of extra value to your bathroom that simply wouldn’t have existed previously. Even though this kind of technology is pretty much par for the course at nearly any and every high-end spa or salon in your area and beyond, it really hasn’t made the full leap to residential technology quite yet. This means that your bathroom is going to be pretty special one! Of course, thanks to its portability, you’ll also have the opportunity to take this towel heater with you when you move without any headache or hassle whatsoever. You definitely need to know exactly what you’re doing when you’re looking to purchase a towel warmer cabinet, that’s for sure. Obviously, all of these different factors are going to play a role in your purchasing decision, and you’ll want to be sure that you’re making the right move going forward. You’re also going to want to look out for the warming cabinets that include automatic shut off or timer features, systems that have long-lasting warranties and use only the best construction materials, and brand names that have rock solid reputations in the industry. You want to be able to make this purchase once and be able to rely on the product for years and years to come. After all, this purchase isn’t exactly going to be the cheapest investment you make (expect to spend at least a few hundreds and sometimes considerably more than that on a reliable unit), so you want to be sure you’re making the right move. Pay close attention to reviews. Do as much research and due diligence as humanly possible. And look for products that feel as if they are going to be a natural extension of your current bathroom set up or your ideal bathroom solution. Honestly, it isn’t all that difficult so long as you use the tips and tricks I’ve shared here. Now that we’ve come to the end. Was my buying guide good enough for you to decide on which product to bring home? Anyway, if you need help, I’m always here.